Wear this as a necklace or as a wraparound bracelet. 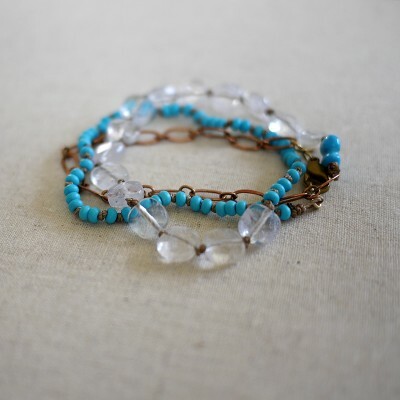 Crackled rock crystal and turquoise hued beads are handknotted to create this piece. Bracelet (wrapped 3 times): approx 7"
Materials: Stone, copper, brass, waxed cotton cord.